Good morning, there are two FREE Magdalene events planned for the coming week! Register today and reserve your place. It is all FREE! Click on image to learn more and register. 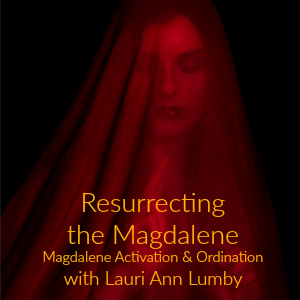 From July 20 to July 22 (the actual Feast Day of the Magdalene), we will be joined by incredible women who have devoted to, held counsel with, researched, written about, and expressed the essence of the woman named Mary Magdalene. 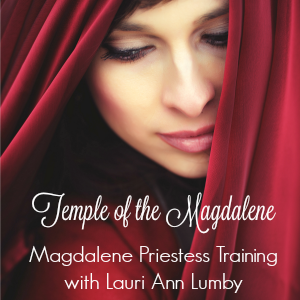 Woman to Goddess, the stories of Mary Magdalene encompass the whole of human and divine experience. She is known as apostle, disciple, beloved, bride, whore, teacher, saint, and Goddess. Interviewer – Kimberly F. Moore – Founder of MotherHouseand Mystery School of the Goddess. **All registrants will automatically be added to email lists. THANK YOU! FREE online service dedicated to Mary Magdalene, who here represents and guides us on the Path of the Beloved. The Path of the Beloved is that which guides us to ourselves. Here we find the full integration between the Divine Feminine and the Divine Masculine within us while embodying our fullest potential as both fully Divine and fully Human! Here we find a life of fulfillment and joy in our unique giftedness – both in service to ourselves and in service to the betterment of the world. Mary Magdalene is the only one identified to have completed the full course of Jesus’ teachings and was initiated as co-equal partner and Beloved with Christ. It was to Mary whom Jesus first revealed his resurrected/Christed Self and it was Mary he commissioned to share the good news with the other disciples and to continue his work in his stead. Mary, honored with the title “Magdalene” (meaning “Great Tower”), most fully understood, integrated and then embodied the highest and deepest levels of Jesus’ teachings, becoming fully self-actualized through Jesus’ guidance. In becoming self-actualized, Mary, in the fullness of her humanness, embodied her own Divinity – like Jesus, becoming fully human and fully divine. Through this level of knowledge, Mary experienced the alchemical, transformative and UNIVERSAL truth inherent in Jesus’ teachings – the truth of Oneness – oneness within one’s self, with the Divine, with others and with all of creation. It is the truth of this Oneness that Mary then went on to teach, along with the alchemical, initiatory process that Jesus facilitated for her and taught her to facilitate for others. Mary’s mission, then, could be said to support others in their own self-actualization. The service is self-guided and to be completed in your own time. 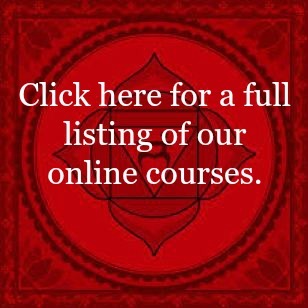 Plan for 1-2 hours to complete the service and along with meditation and ritual suggestions. Thank you for joining us on this auspicious day! Reblogged this on Lauri Ann Lumby.